There were several important reports on the U.S. economy released this morning. 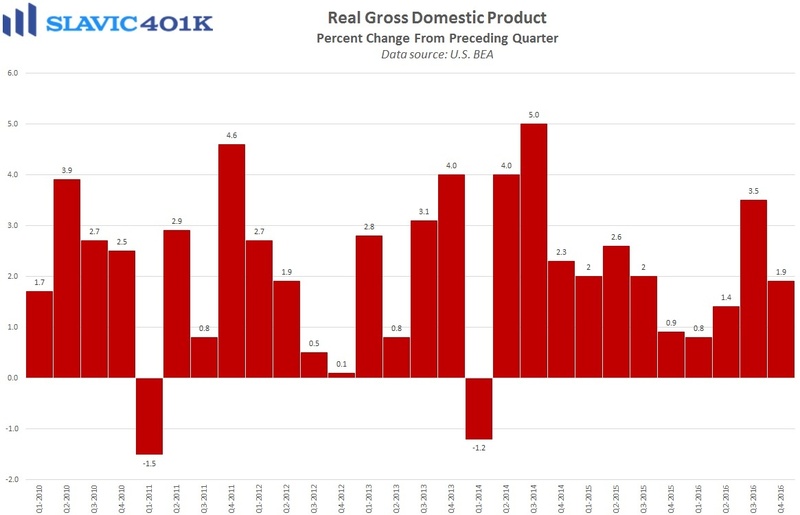 First, data from the Bureau of Economic Analysis (BEA) showed that U.S. gross domestic product (GDP) growth slowed in the fourth quarter of 2016. 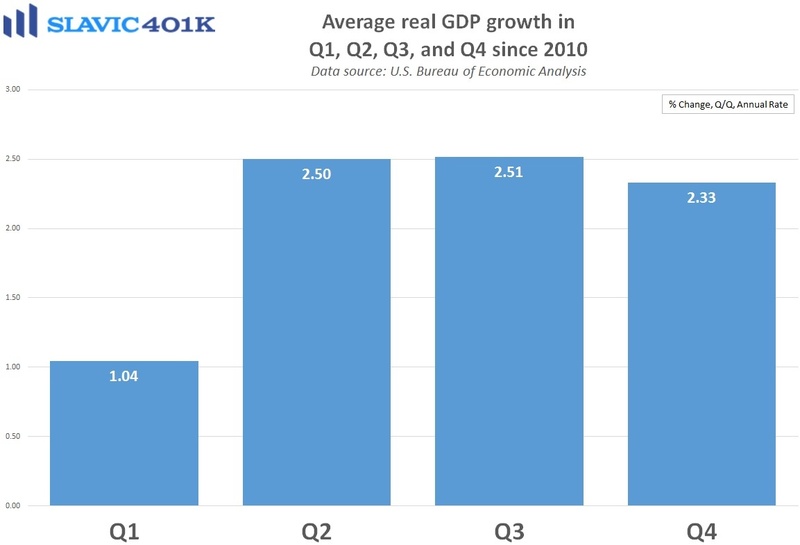 Specifically, real GDP, which measures the value of the production of goods and services in America adjusted for price changes (inflation), increased at an annual rate of 1.9 percent in Q4. 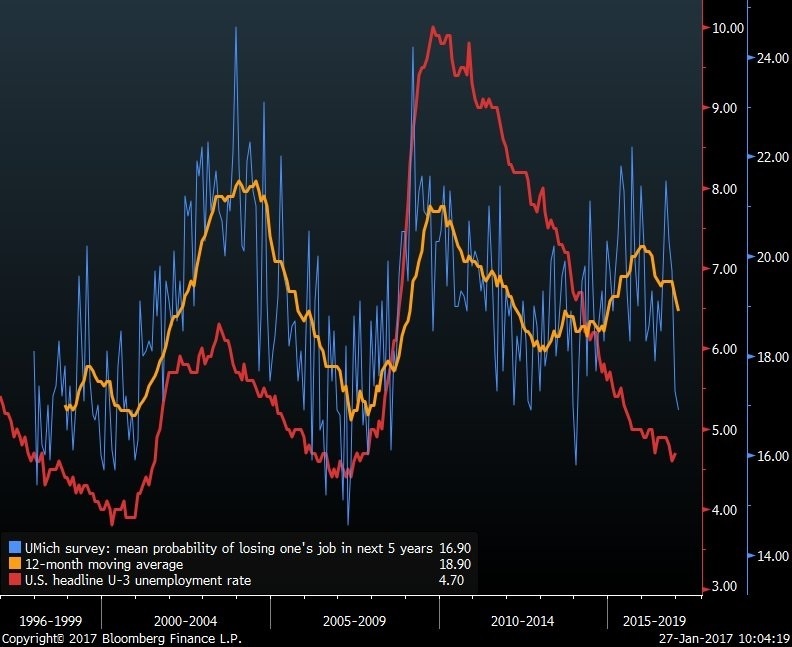 That was down from the third quarter’s 3.5 percent pace of expansion and well below the 2.2 percent gain economists had expected. Weighing heavily on overall growth last quarter were net exports, which subtracted 1.7 percentage points from GDP, the most since Q2 2010. 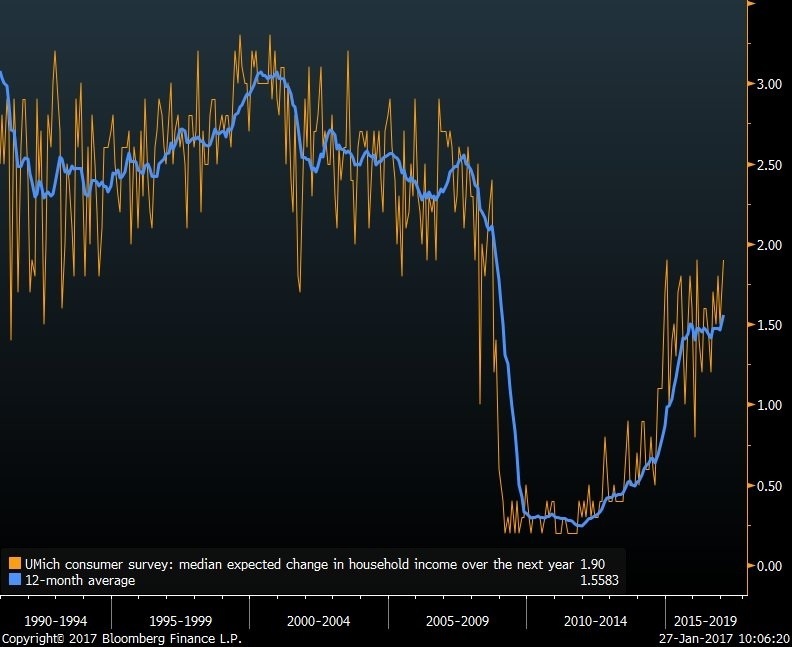 On the bright side, personal consumption expenditures (consumer spending), which account for more than two-thirds of U.S. economic output, rose by a healthy 2.5 percent in Q4. 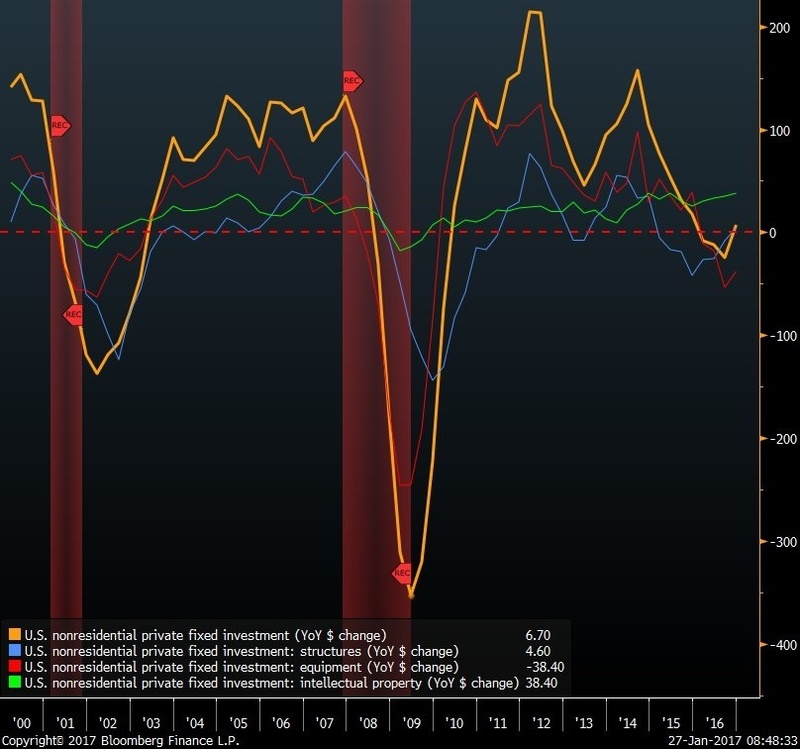 The economy also got help from a 3.1 percent increase in fixed investment in equipment during the past three months, the first gain in five quarters. 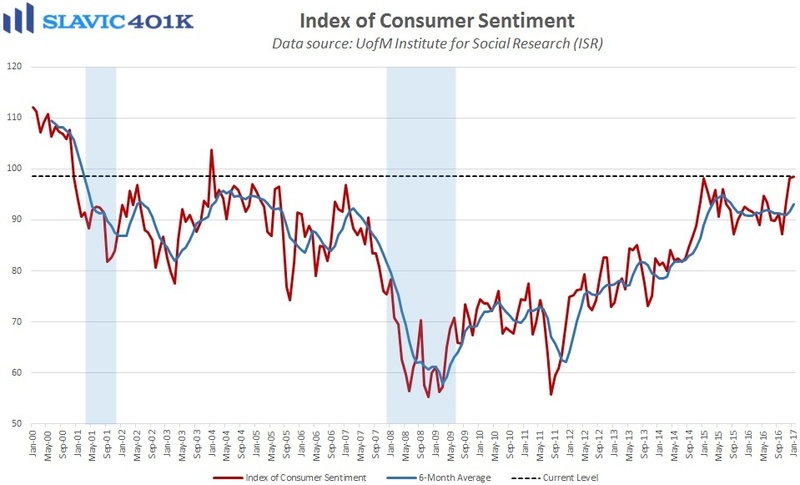 Add to that a solid uptick in inventory accumulation and it encouragingly appears that businesses are starting to spend again. 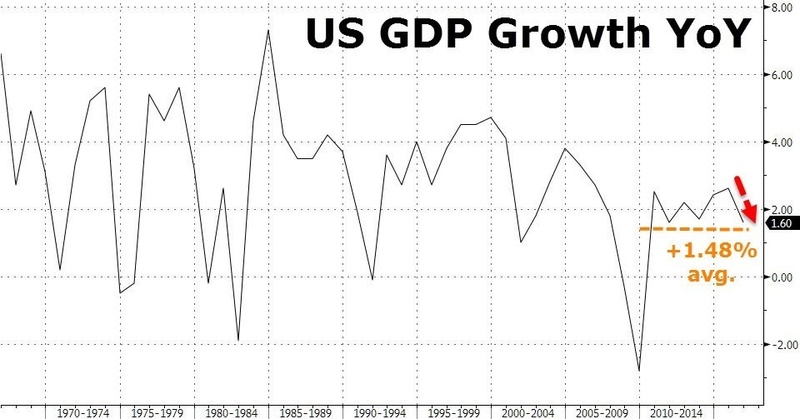 Of course it is also worth mentioning that this is only the first (advance) estimate of fourth quarter GDP growth, and it is therefore possible that the data will be revised much higher (or lower) over the next few months. 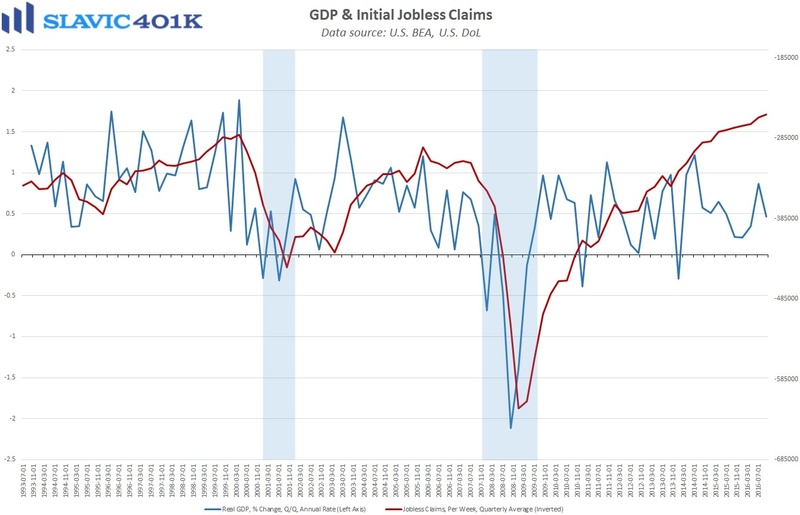 Overall, though, this report suggests that the U.S. economy is still doing good but not great, and that continued hiring, steady income gains, and greater business investment will be needed for stronger growth down the road. 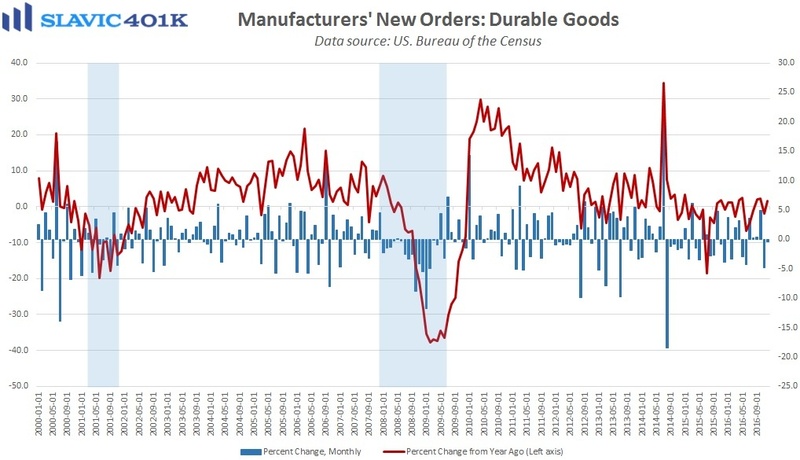 Next, a report from the Census Bureau showed that new orders for U.S.-manufactured durable goods (items meant to last at least three years) contracted in December by $1.0 billion (0.4 percent) to $227.0 billion. 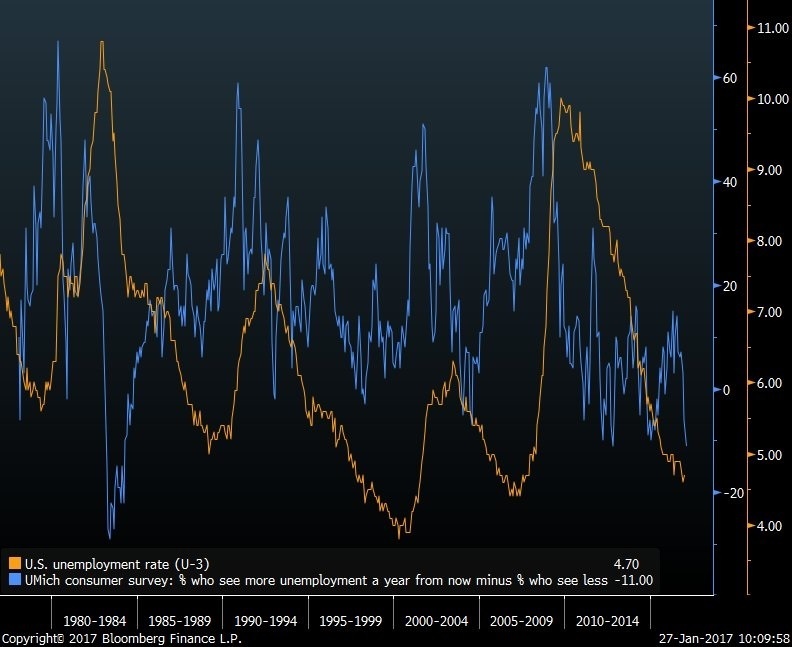 That was the second monthly decline in a row and much worse than the 2.6 percent gain economists had anticipated. 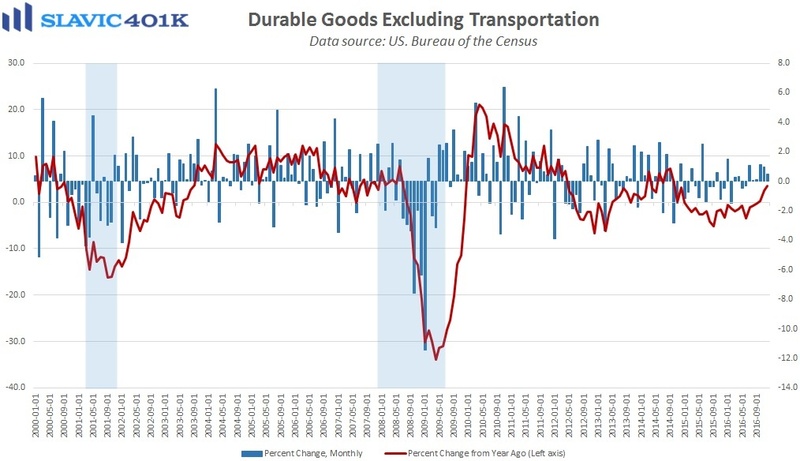 Encouragingly, “core” durable goods orders, which exclude the volatile transportation component, rose by 0.5 percent in December, in line with expectations. Further, orders for nondefense capital goods excluding aircraft, i.e. 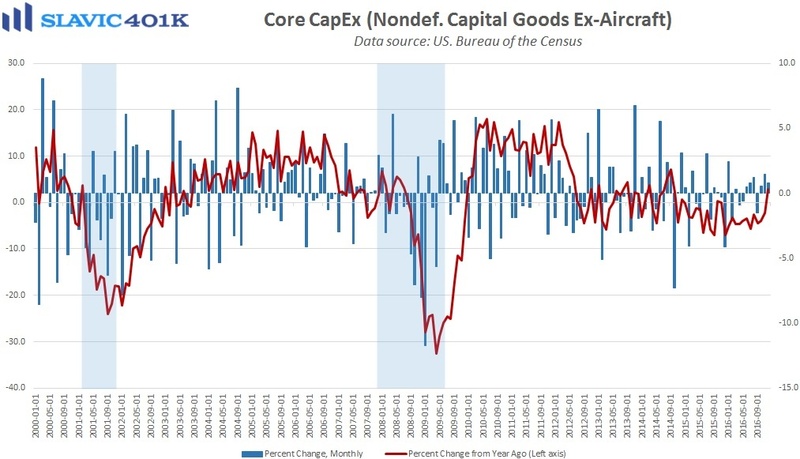 core capital expenditures, an important proxy for U.S. business investment, increased by 0.8 percent in December. That was enough to lift the year-over-year change to +2.8 percent, the first positive reading on annual growth since October 2015.